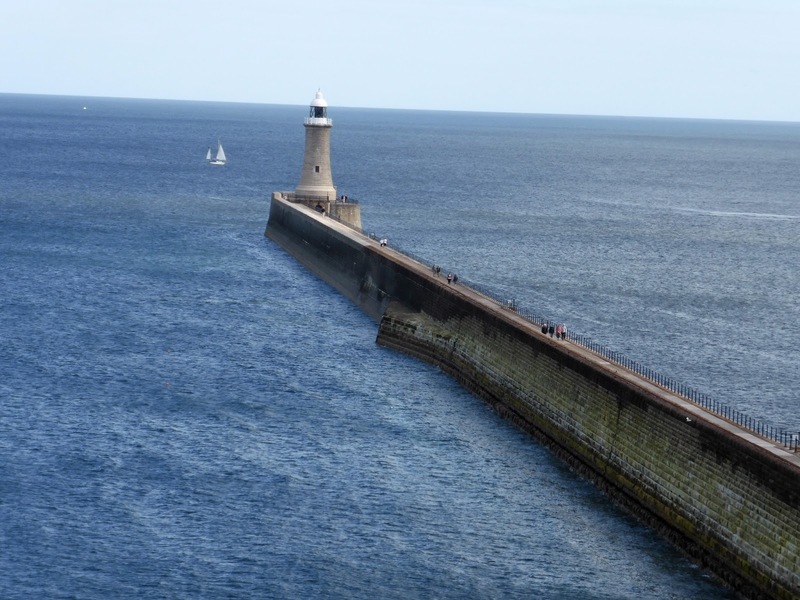 Anyone have any idea where my favourite place in the North East is so far? Yep, Tynemouth! Having only lived here 3 months I have already blogged about it three times. I just love it. When Kate came to visit last weekend I knew that it was the perfect place to take her and it also gave me the opportunity to do a few bits that I hadn't had a chance to do yet. We began our adventure at the Tynemouth Market which is held in the Metro station every weekend. It is huge, it takes up the whole station and is a wonderful mixture of beautiful food and products made in the North East along with exciting brick a brack. There are some real treasures to find and lots of wonderful people to talk to. We met a lovely lady selling "melts", fudge tasting chocolate that melt in your mouth and are made in gorgeous flavours and a guy selling his handmade candles which I will definitely be buying at Christmas. Mooching round the market made me think that this year I may well buy everyone gifts made in the North East. After so much bargain hunting we were more than ready for lunch so headed to Front Street to try and pick between all of the amazing restaurants and cafes. 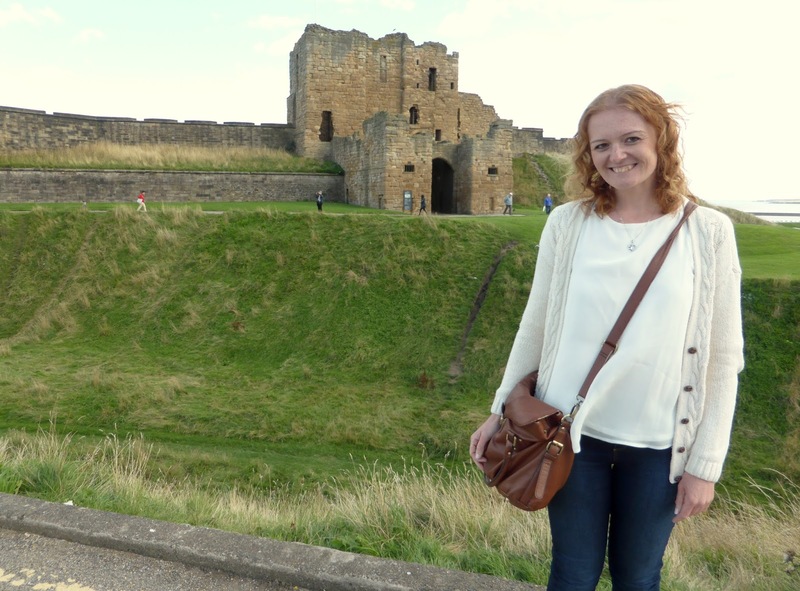 There are so many I want to try so it's a good job Tynemouth's a place that I will be visiting time and time again. After walking the length of the street we decided on Roy's Bakery as they had outside seating in the sunshine and a lovely range of sandwiches at very reasonable prices. I had a corned beef and onion toastie and it was delicious. 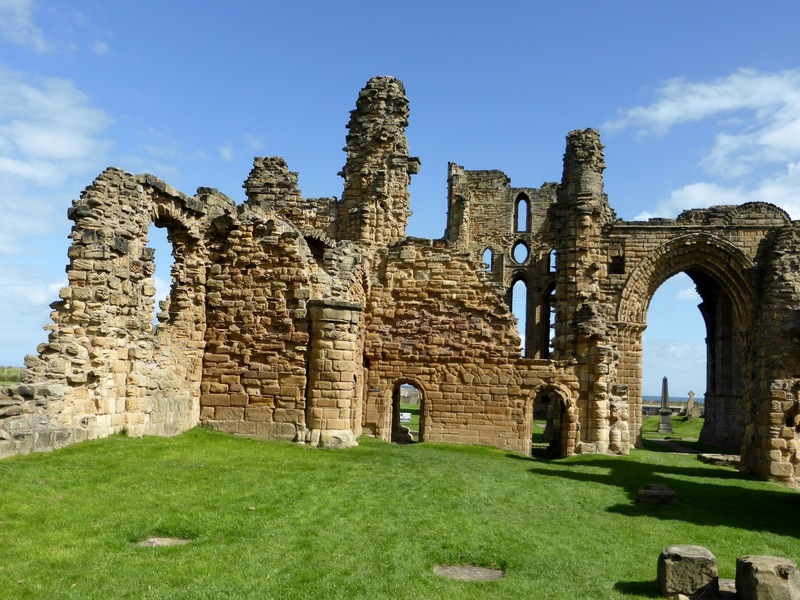 Something that I've been wanting to do in Tynemouth for a while now is a visit to Tynemouth Priory, an English Heritage site which sits on top of a hill overlooking the sea. It's definitely a place best viewed in the sunshine as the site is more or less all outside and the £4.95 admission fee gets you the best views in Tynemouth. 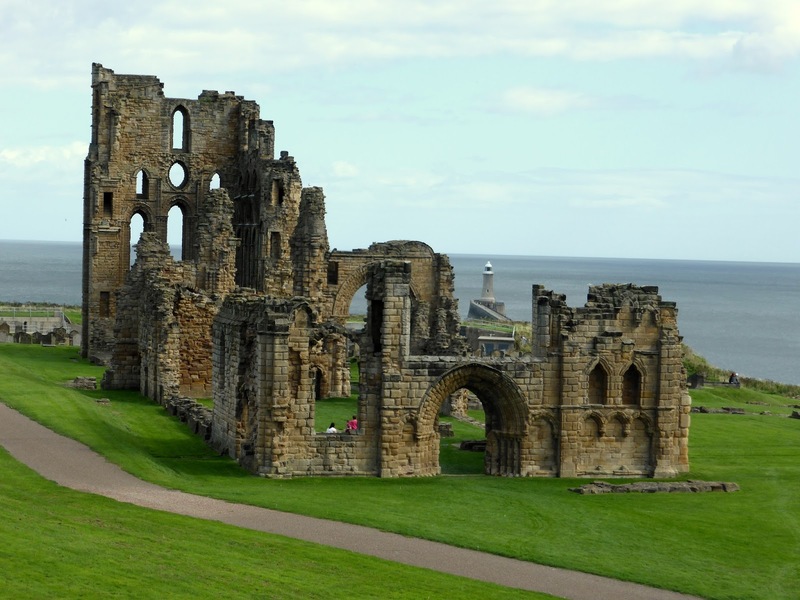 We spent a very enjoyable hour strolling about looking at the beautiful old Priory and climbing up to the highest points possible to see Tynemouth Lighthouse and look out to sea. Whilst the site is absolutely stunning to look at I wouldn't really recommend it as somewhere for a long day trip, there are very limited amenities (a little gift shop, toilets and a very small activity room) and really it's just a pretty place for a very short stroll. To get a bit of exercise we decided to walk on to Cullercoats via the beach and so worked our leg muscles ploughing through the sand. It was a really beautiful day, and the perfect end to Summer. There were plenty of families out on the sand and we amused ourselves for a while watching a pack of baby seagulls raiding a family's beach spot whilst they were in the sea. I've never seen a seagull pick up a beach towel and drag it off before. On reaching Cullercoats there was only one place on my mind. Beaches and Cream! 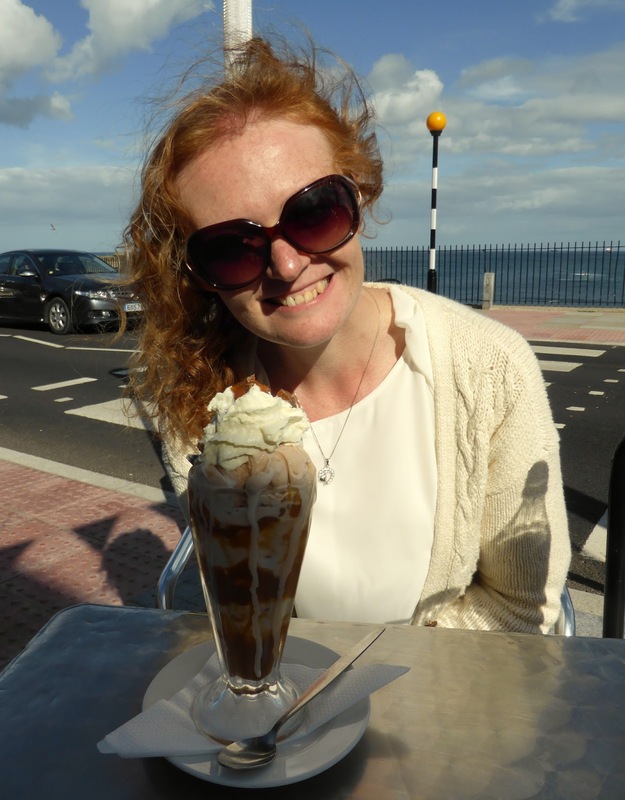 I believe this is the third mention of my favourite ice-cream parlour since my blog started, that's how good it is! 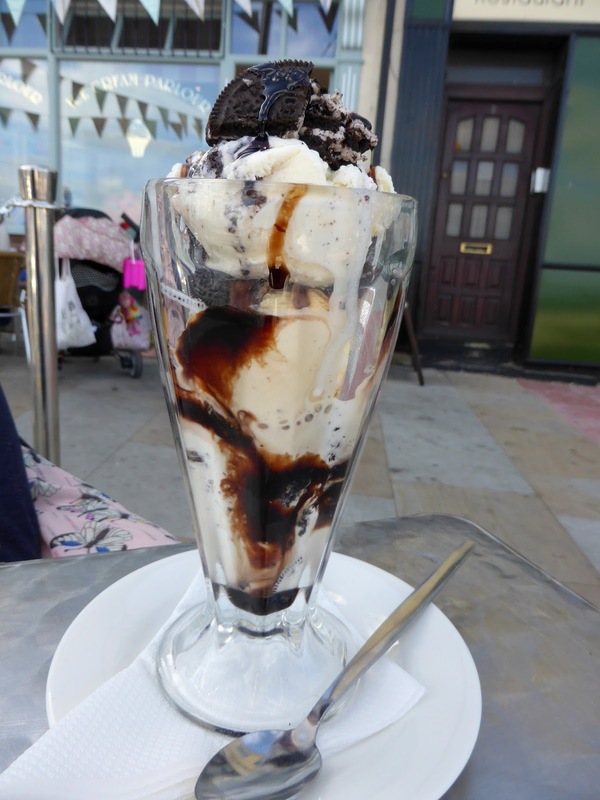 This time we opted to sit outside in the sun and I enjoyed a sundae with toffee, mars bars and dime whilst Kate had an Oreo cookie sundae. It's taken me three visits to realise that the ice-cream at Beaches and Cream is provided by local family company Beckleberry's. Their ice-cream tastes so good and I've only had a very small amount so I'm looking forward to trying more when I next stumble across them. 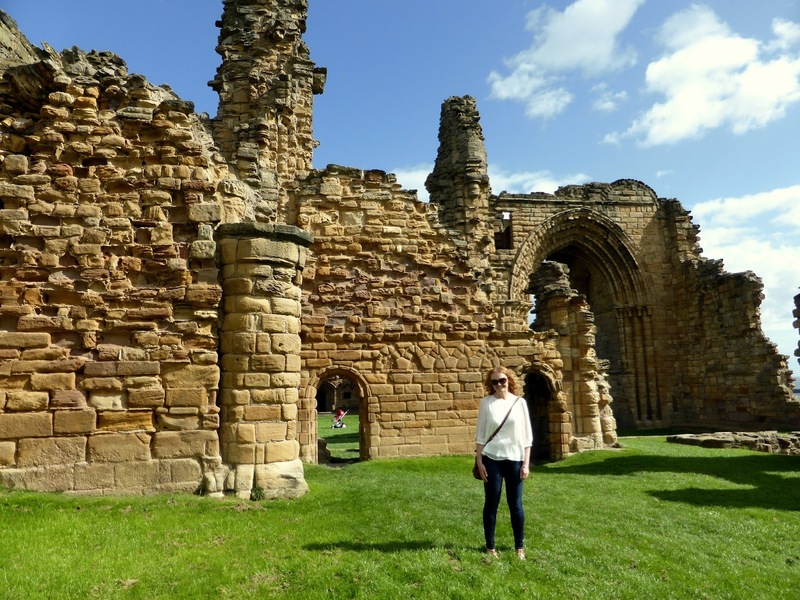 I am now really looking forward to returning to Tynemouth and Cullercoats in the Autumn months when the seafront will be a tiny bit quieter and we can warm up with hot coffees and yummy cakes after a brisk walk on the beach bundled up in our warmer coats. 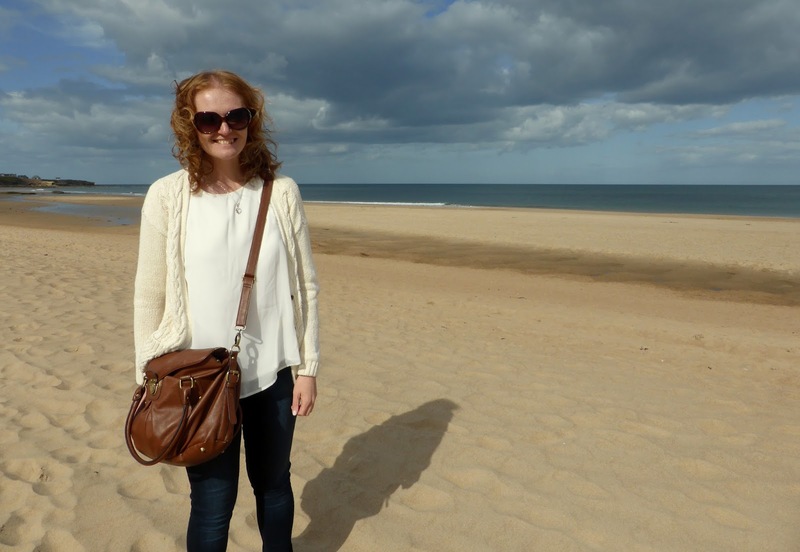 I opted for a simple outfit, something that kept me warm on the breezy beach but still made me feel Summery. I finally wore the new top I bought in Primark a few weeks ago, I love how it's nice and floaty but still flattering and the detail around the sleeves is just adorable.